The October program page is now available. Events and programs coming up this weekend (where did September go?) are listed below. Also, please note that as we move further into autumn, some site schedules change seasonally, mostly affecting which days of the week the site is open. Please be sure to check ahead before visiting. 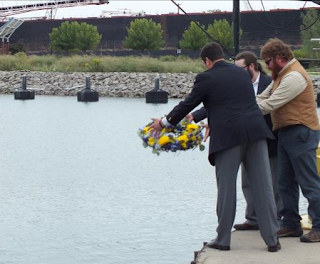 On September 10, Erie Maritime Museum and U.S. Brig Niagara hosted their annual commemoration ceremony for the Battle of Lake Erie in 1813. 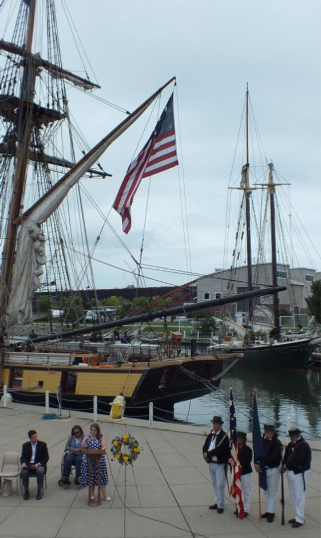 The battle, a pivotal event of the War of 1812 that took place off of Put-in-Bay, Ohio, is interpreted through the museum's exhibits and through tours and sailing experiences on board Niagara. Cornwall Iron Furnace offered cast iron cooking demonstrations on Sept. 22, with several members of their Friends group showing their skills. Cast iron was one of the primary products of the furnace, along with bar iron used by forges in the area. Find more photos on Cornwall's Facebook page. Hungry yet? How about this recent photo of the bake oven at Landis Valley Village and Farm Museum? 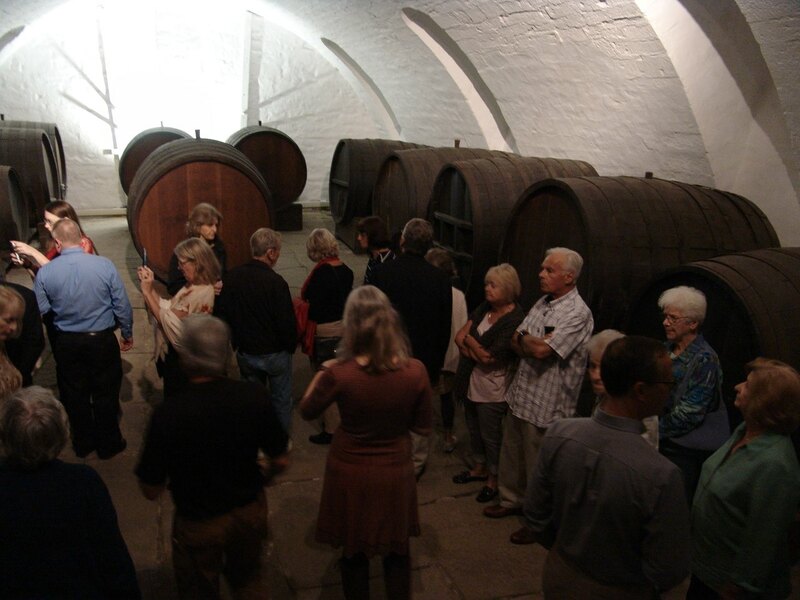 And while we're on the subject of food (I consider wine one of the essential food groups), Old Economy Village just reopened the historic wine cellar on the property after a restoration project (more photos on Facebook). 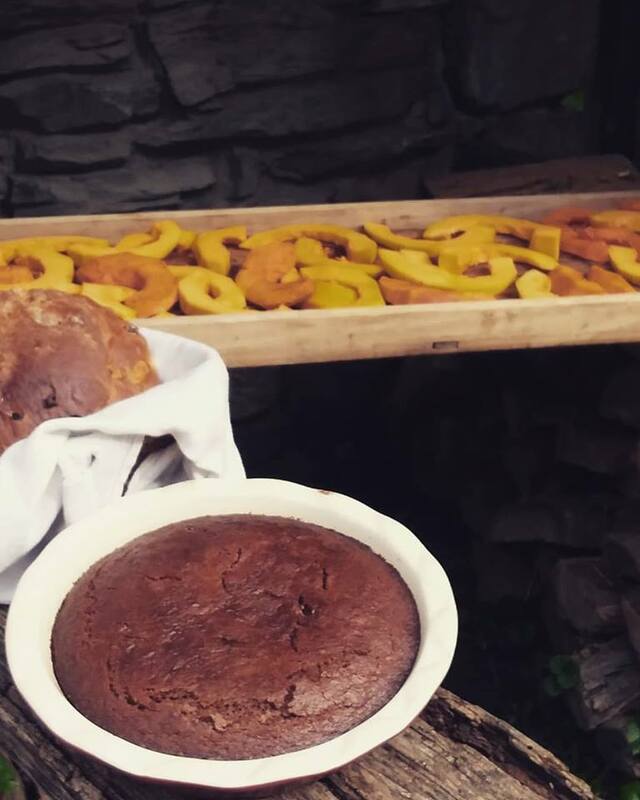 You can check it out for yourself at Erntedankfest: A Harvest Festival, Oct. 6-7. Sept. 29: PA Governor's Panel and Luncheon—PLEASE NOTE that Pennsbury will be closed to visitors 9/29 to allow for this event: current governor Tom Wolf and several former Pennsylvania governors will discuss the challenges of leading the commonwealth established by William Penn. A 3-course lunch will be served. A portion of the proceeds from this event will go toward establishing the "William Penn Scholarship Fund" for Title I schools. Tickets may be purchased online through TicketLeap. More information on the program, group tickets, and sponsorships is available on the Pennsbury website. 1-4 pm. Sept. 30: Meet the Animals—visit with some of the animals that make Pennsbury their home. Included in regular admission. 1-4 pm. Sept. 28 & 30: Mammal Hall activities—today (9/28), there's Curiosity Kids: Walk Like the Animals! and Make Your Own Paper Diorama at 11:30 am. On Sunday (9/30), celebrate the rededication of Mammal Hall, marking its 50th anniversary, with activities starting at 12:30 pm. General admission is $5 per person today through Sunday. A listing of Trails of History events scheduled for today through the end of the month is available for your perusal. Thanks to PHMC's social media manager, Sean Adkins, for today's post. 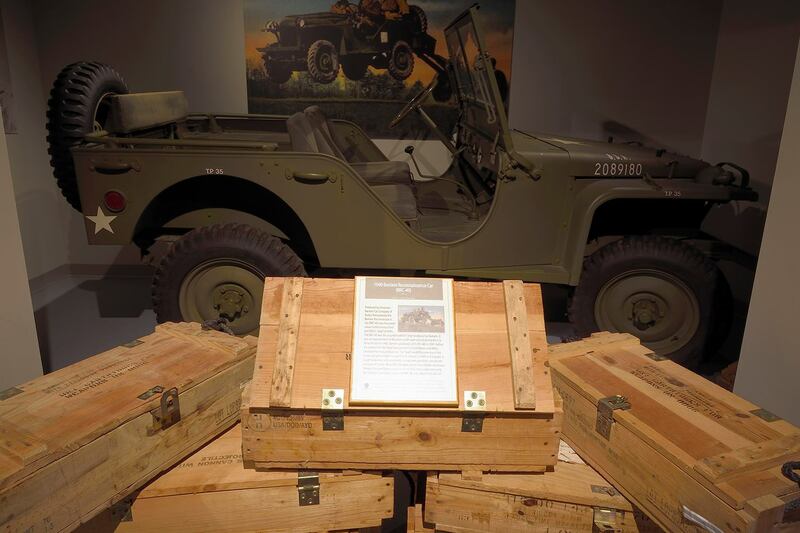 A 1941 Bantam Reconnaissance Car, bearing serial number 1808, is in the collection of the PHMC's Pennsylvania Military Museum in Boalsburg, Centre County. Today, we honor the Invention of the Jeep. This iconic vehicle traces its roots to Butler County, Pennsylvania. On Sept. 21, 1940, the American Bantam Car Co. delivered to the U.S. Army a prototype for the World War II-era jeep. One of only a handful of Bantams that survive is exhibited at the Pennsylvania Military Museum. The following article originally appeared in the Summer 2003 issue of Pennsylvania Heritage. A state historical marker erected by the Pennsylvania Historical and Museum Commission (PHMC) serves to remind the world that Butler, located in western Pennsylvania, about thirty-five miles north of Pittsburgh, is the birthplace of the vehicle now universally known as the jeep, built by the American Bantam Car Company. The factory, formerly the American Austin Car Company, which had produced more than twenty thousand vehicles, was acquired by the American Bantam Car Company in 1936. Within two years, the company was manufacturing Bantam cars and trucks. PHMC dedicated this historical marker, "Invention of the Jeep," on October 17, 1993. The marker is located along Hansen Avenue in Butler County. On June 27, 1940, the U.S. Army Quartermaster Corps released specifications and asked for proposals to develop a new four-wheel drive light military vehicle. The deadline for submitting a proposal was July 22! Bantam scrambled to find someone who could help the company submit a design. Finally, company officials convinced Karl K. Probst (about 1882-1963), a Detroit engineer, to undertake the challenge. Bantam's leaders imposed one condition: they could not pay Probst unless the company won the contract. Despite initial reluctance, Probst went to work on July 17, 1940, and in just two days laid out plans for the Bantam prototype. Bantam submitted its bid, complete with blue­prints, on July 22. The first Bantam prototype - cobbled together from bits and pieces of other vehicles - was completed and driven to Camp Holabird in Dundalk, near Baltimore, Maryland, on Sep­tember 21, meeting the forty-nine-day deadline - with thir­ty minutes to spare! The Quartermaster Corps subjected the prototype to rigorous off-road trials, concluding, "this vehicle demonstrated ample power and all requirements of the service." The Ford Motor Company and the Willys Overland Company soon submitted their own prototypes, based on the Bantam designs, which had been shared with them by the Army. Ultimately, the Army ordered fifteen hundred units from each of the three manufacturers. Ford began delivering vehicles in April 1941, followed a few weeks later by Bantam and Willys. However, in light of Bantam's tenuous manufacturing capabilities and precarious financial condition, and the strength of its competitors, Ford and Willys were eventually granted contracts for mass produc­tion of the jeep. In the end, Bantam manufactured less than twenty-seven hundred Bantam Reconnaissance Cars (BRC-40s), and spent the World War II years building heavy duty trailers for the Army. The company closed in 1956. The state historical marker, dedicated in 1993, stands at the company's former factory building on Hansen Avenue in Butler. A 1941 Bantam Reconnaissance Car, bearing serial number 1808, is in the collection of the PHMC's Pennsylvania Military Museum in Boalsburg, Centre County. It is one of only a handful of surviving Bantams. Auto­mobile enthusiast Leeland Bortmas, of Butler, restored and donated the jeep to the museum in 1994. Bortmas served in the 28th Infantry Division for four years. The 28th infantry Division Shrine and the 28th Division World War II Memorial are located on the grounds of the museum. 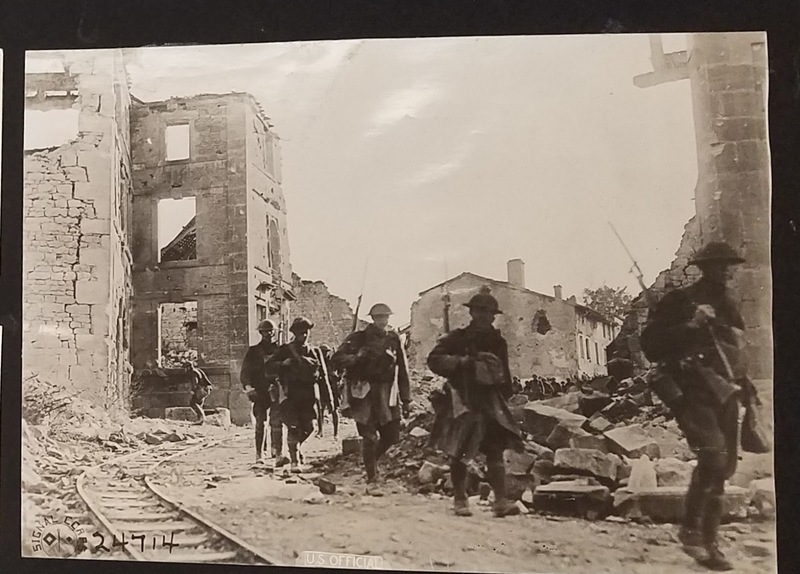 For more information: Pennsylvania Military Museum, 51 Boal Avenue, Boalsburg, PA. 16827; telephone (814) 466-6263; or visit the Pennsylvania Military Museum website. With the impending weather (as I write this it's too soon to tell what will be happening in PA), please check ahead before heading out for Trails of History events this weekend. Stay safe. Today's guest post comes from Christina M. Stetler, membership and annual giving coordinator for the Pennsylvania Heritage Foundation. 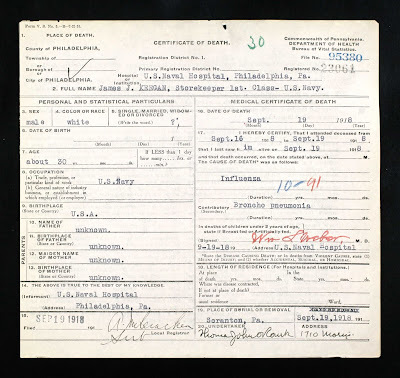 Chris began researching the 1918 influenza pandemic while on staff at the Pennsylvania State Archives and was responsible for creating the Archives Research Guide on the subject. She also wrote a longer article, "The 1918 Spanish Influenza: Three Months of Horror in Philadelphia," which appears in the Autumn 2017 (Volume 84, No. 4) issue of Pennsylvania History, the journal of the Pennsylvania Historical Association. EDITOR'S NOTE/UPDATED INFO: The Fall 2018 issue of Pennsylvania Heritage includes "1918's Deadliest Killer: The Flu Pandemic Hits Pennsylvania," by Thomas J. McGuire. For information on the 2018-19 flu season, including vaccination options, visit the influenza page on the PA Department of Health's website. This has been a public service announcement. In the fall of 1918, the war to end all wars raged in Europe. The United States, having joined the war in 1917, hoped their entrance would bring a swift conclusion to a battle-worn Europe. The war would end in November 1918, but not before death encircled the globe. Medical professionals in the spring of 1918 recorded an unusual flu season. Doctors in Haskill, Kansas, noted an uptick in cases with symptoms unlike the typical flu season, though there were not an abnormal number of deaths. A doctor in Kansas mailed his notes to the Board of Health in Washington, D.C., which indicated he was concerned with what he saw. This act itself was uncommon, as influenza was not a mandatory reportable disease at the time. Cases of influenza were few during the months of June, July, and early August. By the end of August, however, the influenza virus from the spring had returned, but more virulent and deadly. The first indication of the coming calamity came from the Boston Naval Yard. In late August, men began going to the naval hospital complaining of illness. A few at a time, then a steady stream. So many coming in daily, that tents were set up to accommodate the ill. The war effort continued, however, and ships left the Boston Navy Yard for other American and European ports. One such vessel sailed to the Philadelphia Navy Yard, arriving on September 6. This ship carried the influenza virus into Philadelphia, leading to the deadliest outbreak of any U.S. city. Once docked in Philadelphia, several sailors went immediately to the Naval Hospital complaining of flu symptoms. As in Boston, as the days went on, more sailors started developing symptoms and needing medical assistance. According to the Philadelphia Evening Bulletin, on September 19, three sailors from the Navy Hospital passed away from the virus: James J. Keegan, Storekeeper 1st Class; Richard Singleton, Chief Boatswain’s Mate; and Mark J. Harrison, Fireman 1st Class. On the date of publication, there were 565 total cases of influenza at the Navy Yard and the 4th Naval District, with 136 cases presenting the previous day. Cases of the virus spread to the rest of the city with civilian employees who worked at the Navy Yard. Though there were approximately 150 influenza cases outside the Navy Yard in mid-September, the Director of Public Health and Charities, Dr. William Krusen, believed the virus could be contained with normal precautions. Shortly after the first deaths attributed to the outbreak were recorded, the Board of Health required influenza to be a reportable disease. Doctors were now required to report cases and isolate patients to try to curb the spread of the disease. Initially, this was to be only a temporary measure, but the requirement to report influenza cases continues to this day. 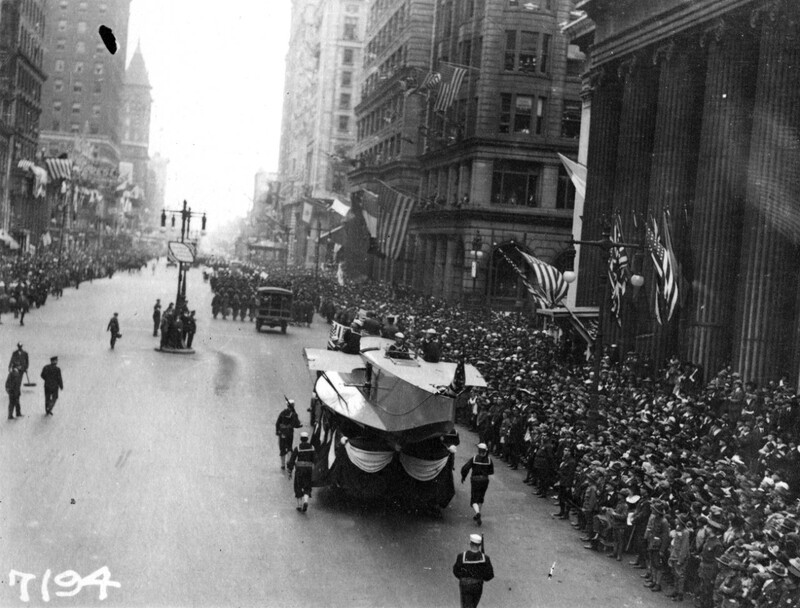 On September 28, 1918, Philadelphia put aside its concern with the influenza virus to support the Fourth Liberty Loan parade. In the previous three parades, Philadelphia had exceeded goals for support of the war effort and nothing would stop the city from kicking off the Fourth Liberty Loan drive. With the number of ill and dead mounting, the Board of Health also closed all saloons, theaters, and churches. There's more to the story (read it here). Sept. 16: Site open—enjoy the grounds and take a guided tour of the mansion. Admission charged. 1-4 pm (tours at 1:00 and 2:30 pm). 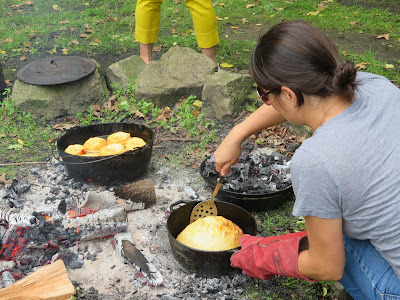 Sept. 16: Special programming—Open Hearth Cooking features the bake oven today. Included in regular admission. 1-4 pm. CORRECTION Sept. 15 22: "3rd" Weekend Program—"Voices of Pine Creek" is an oral history presentation (two documentaries) exploring life in the region through the experiences of local residents. Together the two films run about one hour and 20 minutes. Attendees will also get a sneak peek at the Webber Cabin, home to Bob and Dotty Webber for many years; Bob Webber is among the oral historians featured in "Voices of Pine Creek." 1 pm. Sept. 14: Learn at Lunchtime—author and photographer Tim Palmer will present "Twilight of the Hemlocks and Beeches," based on his book of the same title (more info). Included in general admission. 12:15 pm. Sept. 16: Archaeology at Fort Hunter—Section of Archaeology staff and volunteers will be on hand for Fort Hunter Day to share their info with the public. This season's Fort Hunter excavations started Sept 5 and will continue on weekdays into October (see museum website for schedule details). Please see last week's post for info on events coming up this weekend. If you're planning further ahead, the September program page has what you need. Before I launch us into a selection of items that have come across my screen recently, I wanted to share some info related to the recent devastating fire at the National Museum of Brazil. Among the many responses coming from the spectrum that is the international museum community, the Mid-Atlantic Association of Museums reposted a note from the Council of Museum Anthropology's Facebook page. If you (or someone you know) has ever visited the museum in Rio and took any photos (the irony here should not escape any of us), there is an initiative to create a visual archive of visitor photos. You can email photos to: thg.museo@gmail.com, lusantosmuseo@gmail.com, or isabelasfrreitas@gmail.com. 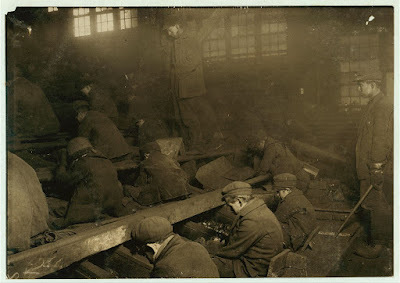 An article in the Washington Post on Sept. 2 featured photographer Lewis Wickes Hine and the impact of his work on ending industrial child labor in the 20th century (read article online). Hine photographed work settings in various parts of the U.S., including the anthracite coal fields of Pennsylvania. Many of his photos can be found in the National Child Labor Committee collection at the Library of Congress. Learn more about breaker boys, coal miners, and mining communities by visiting the Anthracite Heritage Museum and Eckley Miners' Village on the PA Trails of History. The Daily Antiquarian posted a history of Labor Day on their Facebook page and featured photos from several Trails of History sites, including Old Economy Village and Ephrata Cloister. It's a reminder that while some of our sites are focused on industrial labor (see industrial heritage trail), all of our sites interpret work in some form, be it domestic (see program at Conrad Weiser Homestead below), agricultural, or scientific, to name a few. The October 2018 issue of Early American Life has a beautiful photo of the Walter's Mill Covered Bridge at Somerset Historical Center by Ron Bruner (see it here on Facebook). This weekend (Sept. 7-9) you can see it in person and enjoy a vast array of craft demonstrations, entertainment, and regional foods at SHC's annual Mountain Craft Days festival (info here). Old Economy Village plays a leading role in a new video from Beaver County Tourism that promotes the Ambridge Historic District (see below). Staff of the Pennsylvania Military Museum hosted history classes from Penn State Altoona this summer, providing an insider's tour (literally) of a Sherman tank as well as hands-on experience with artifacts from the museum's collection (article from PSU Altoona website includes more details and photos of the visit). Photographer Curt Weinhold, who works closely with the Pennsylvania Lumber Museum, posted a night sky image taken from the logging camp exhibit on the museum grounds. Potter County, where the museum is located, is known for its dark skies, and Curt is well-known for his night sky photography. 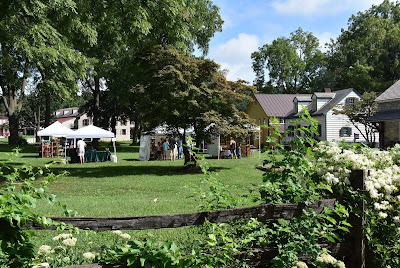 This year's "Ice Cream Sunday" event at Landis Valley Village and Farm Museum (Sept. 2) was expanded into a fine art and fine craft event (with ice cream) through a partnership with the Pennsylvania Guild of Craftsmen. There are loads of beautiful photos on LVM's Facebook page and Jennifer MacNeill Photography shared a gorgeous bunch more. Enjoy (you'll have to supply your own ice cream)!